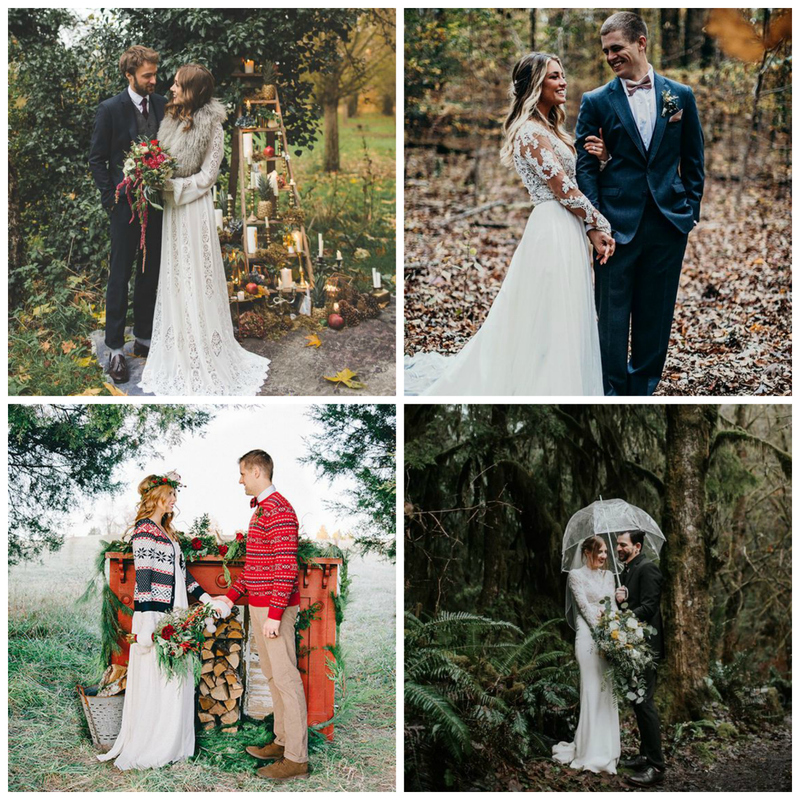 Winter is all about romance in the woodlands and the trees are the perfect backdrop for photos at this time of year. It’s definitely worth talking to your photographer and checking the sunset time on your big day so that you can be sure you’ll get enough light for your post-ceremony shoot. Winter weddings are a little easier for guys because suits are lovely and warm when the temperatures fall. If you’re a bride, look out for a gown with sleeves or one that’s made from a thicker, heaver fabric. Alternatively, add a shawl or cardigan to your ensemble and don’t be afraid to add a little colour here either. Serving delicious, warm drinks at your winter wedding will keep your guests cosy and happy! Mulled wines and ciders work really well and spiced apple is a fab option for non-drinkers. 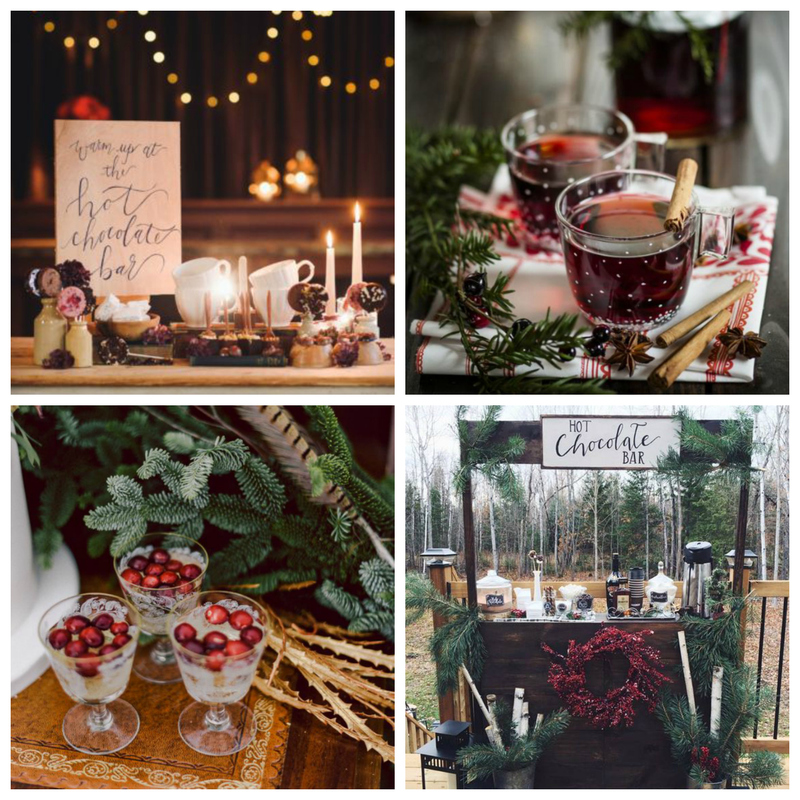 We also LOVE hot chocolate bars – let your guests add extras such as marshmallows, cream or even crushed candy canes. For a grown-up twist, why not add a cheeky dash of alcohol? When the sun sets so early, lighting your winter wedding is super important. 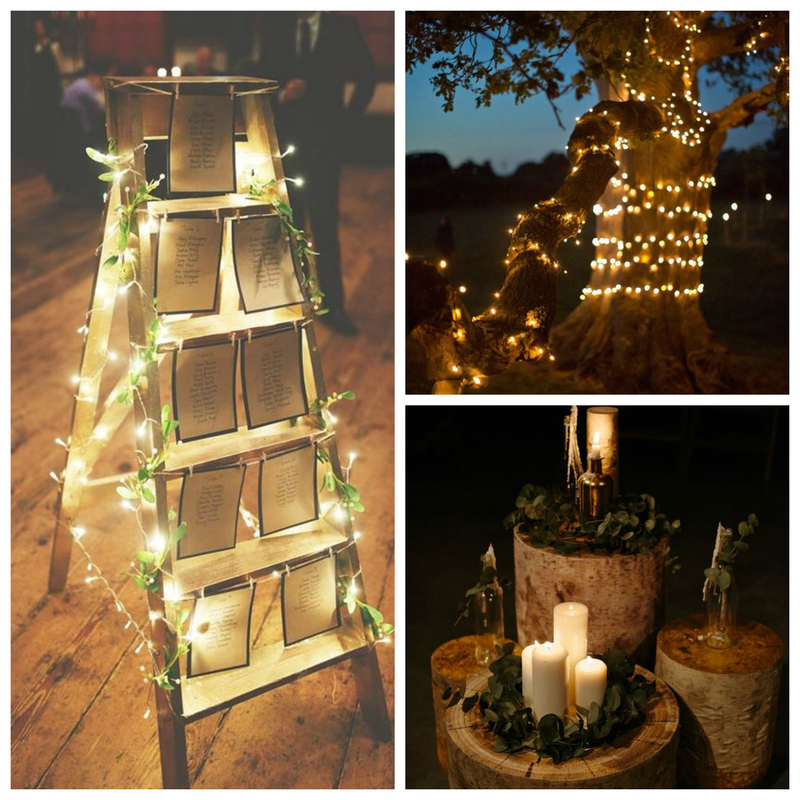 Fairy lights and candles are the best options so fill you venue with gorgeous, glowing lights. Also, adding a few lights to the outside of your venue provides a lovely welcome to any evening guests. Using traditional wintery motifs across your wedding brings the season into your decorations in a really fantastic way. 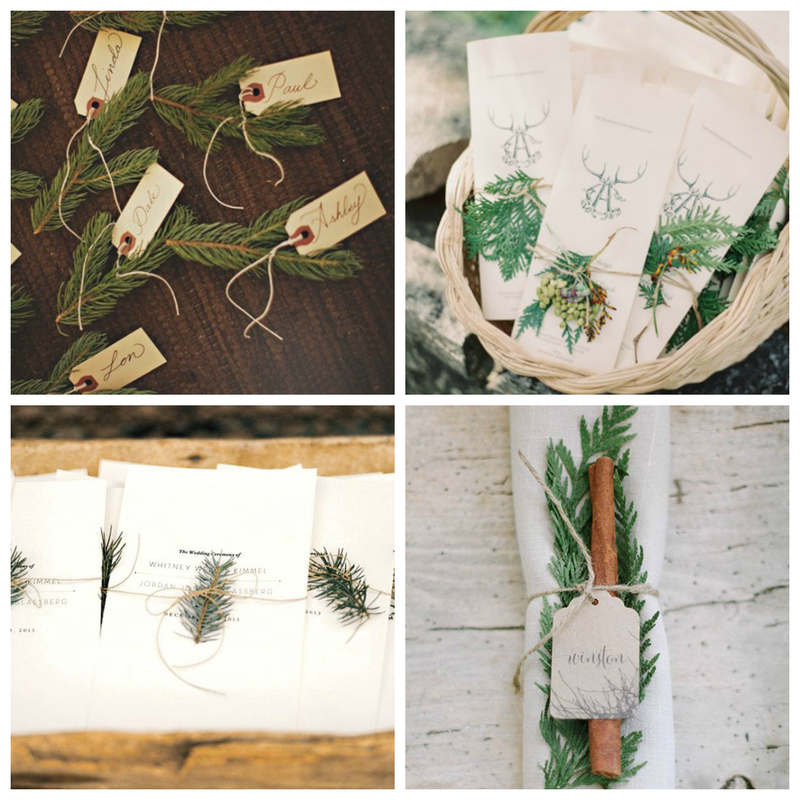 Little sprigs of fir trees couldn’t be better for a woodland wedding – use them to decorate stationery and place settings or create your own place cards. 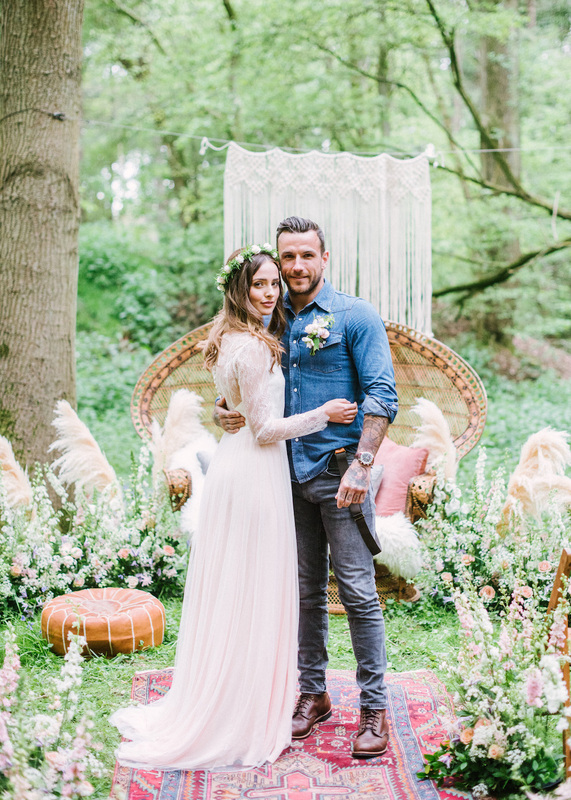 Including wooden details is always a good idea and this look is perfect if you’re planning a rustic wedding. 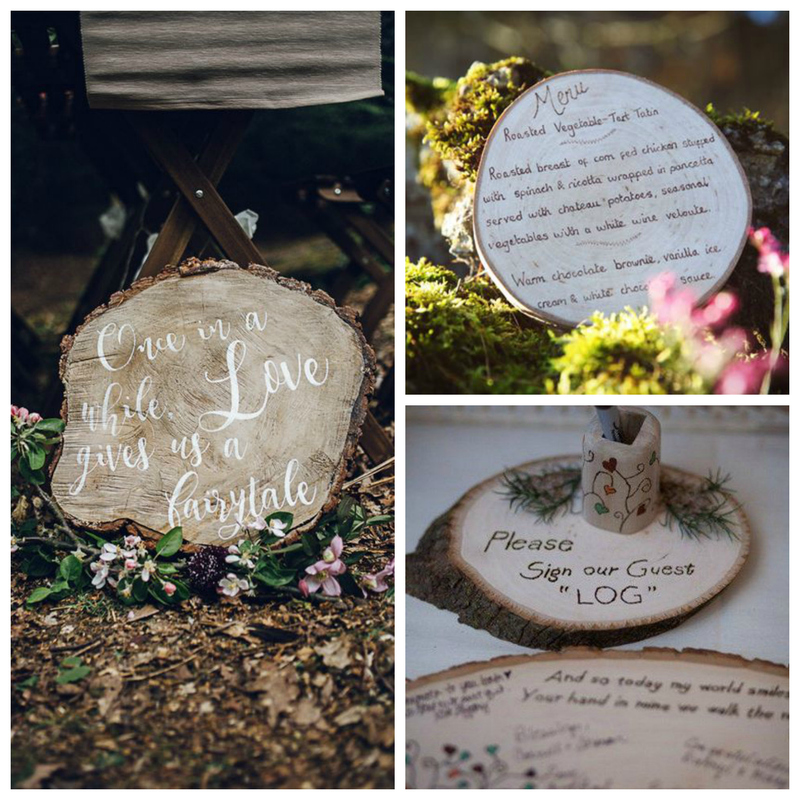 Use wood slices as place mats, cake stands, menus, guest books and even as wedding signage. Winter weddings definitely need a fabulous feast so spend a little time making sure that your guest tables look their best. 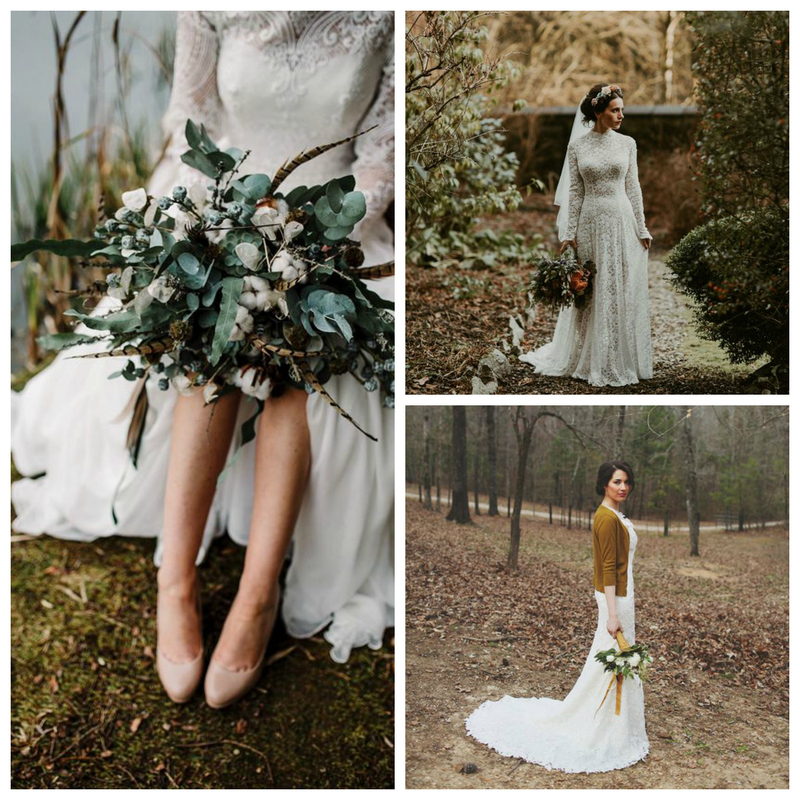 Candles, seasonal flowers and foliage, wintery details and a mix of fabrics and textures create the best look. 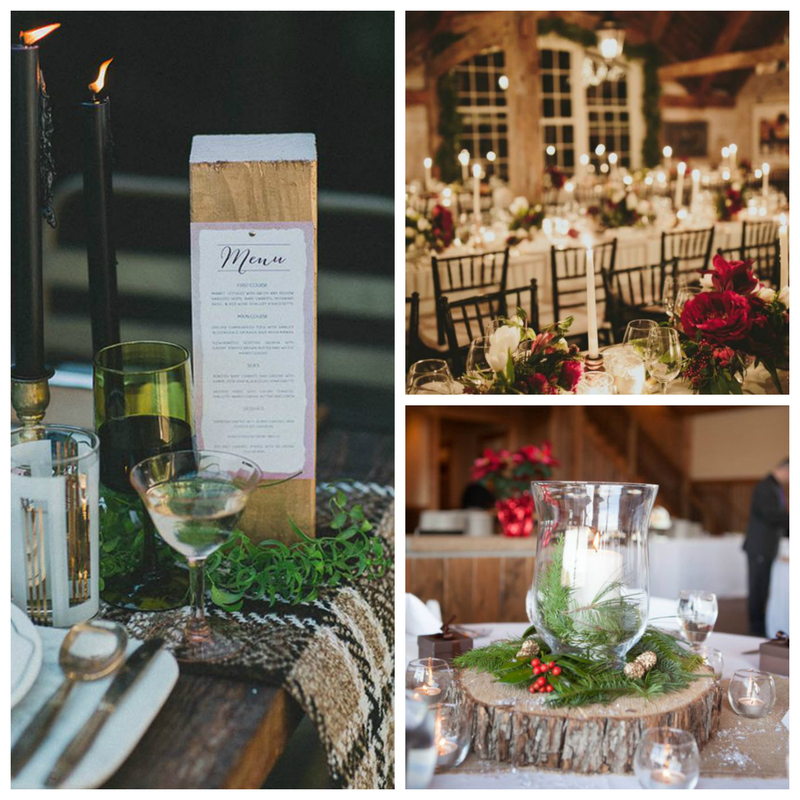 When you start planning your decorations, why not include plenty of details that your guests will link to winter? Gingerbread favours are an easy DIY or you could put together little jars of hot chocolate mix. 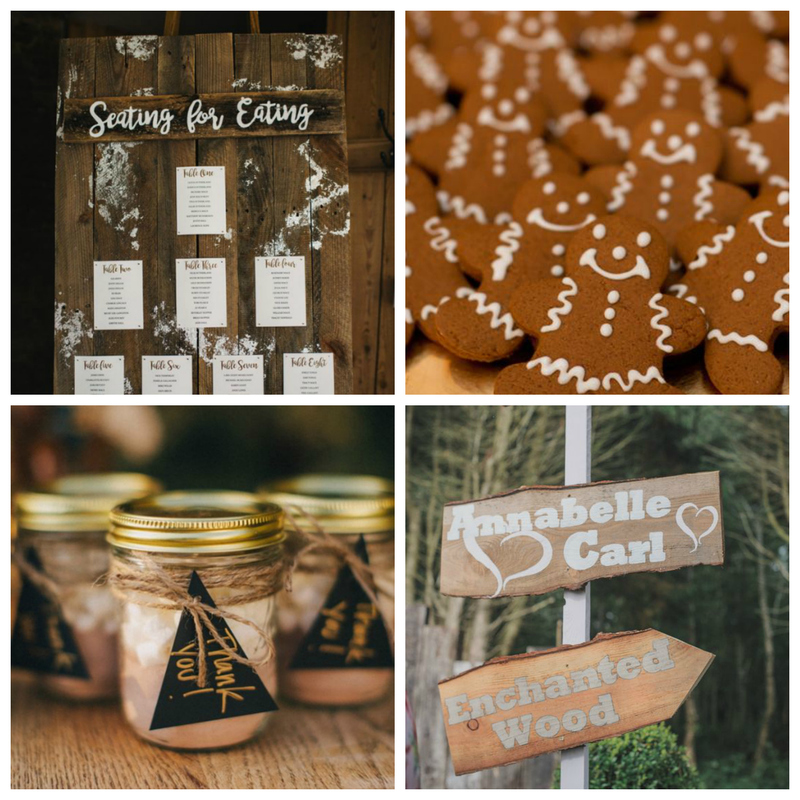 Add a sprinkle of fake snow to items such as your table plan and don’t forget the wedding signage – you don’t want anyone to miss a moment! 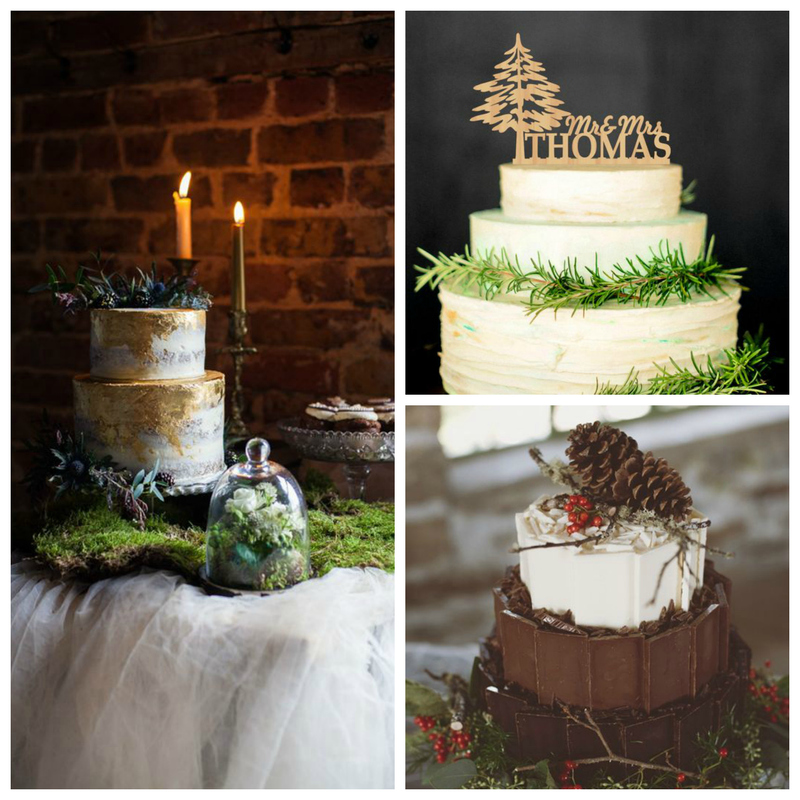 We all associate cake with Christmas and wedding so a Christmassy wedding cake has to be a real showstopper. Include layers with richer flavours, use more dark chocolate, opt for a darker icing with golden gilding or keep things simple with a woodland inspired cake topper. Finally, don’t forget to bring lots of colour to your day and jewel tones look stunning in winter. 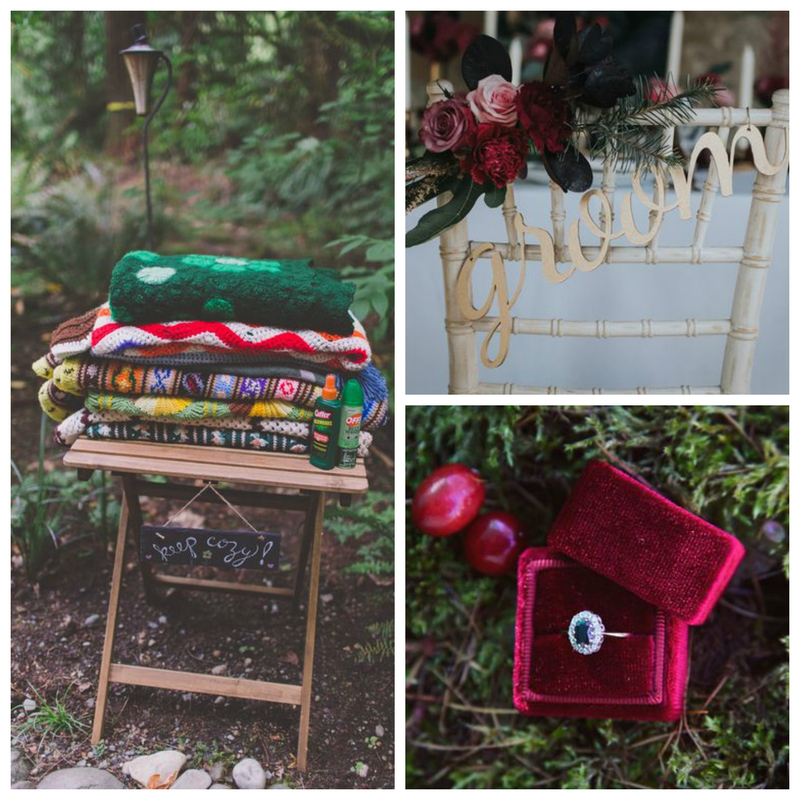 Snuggly blankets, flowers and velvet ring boxes all work really well. Or, do something different and choose a coloured wedding dress – it’s your wedding day after all. To find out more about weddings in any season at GreenAcres, just get in touch to find out more. 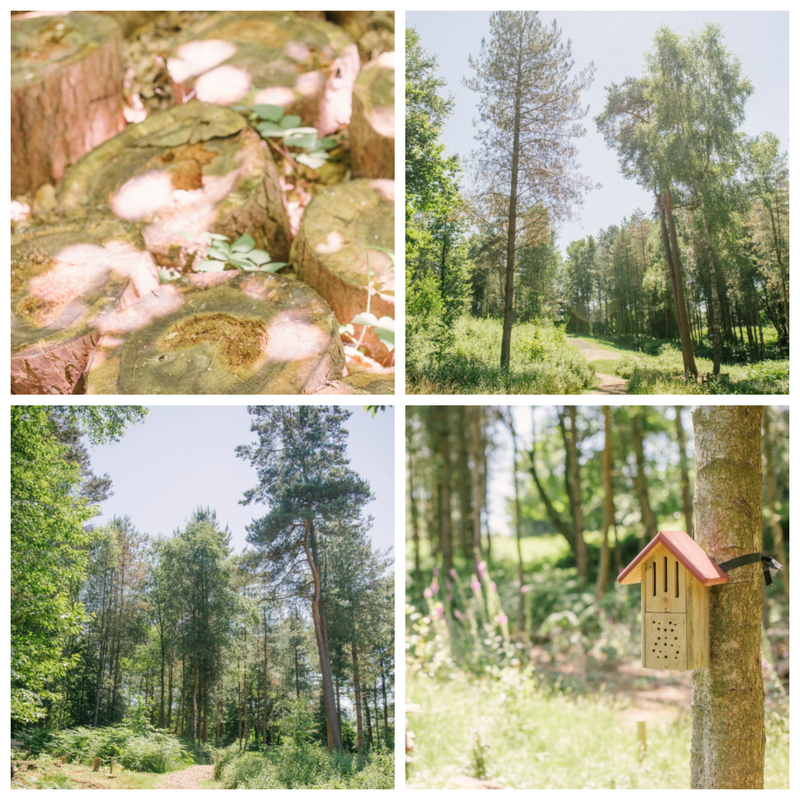 If you’d like to arrange a time to visit our woodlands at Chiltern, Colney, Heatherley Wood and Rainford, contact us here. We look forward to welcoming you. Of all the important parts of your wedding day, your ceremony is definitely the highlight. This is the moment when you take your vows and commit yourselves to each other so it’s the perfect time to tell your partner exactly how you feel. Writing your own vows can be special, moving and it adds lots of individuality to your wedding ceremony. If you’re writing your own vows or if you’re wondering whether you should, here’s all you need to know. The first thing to mention is that if you’re holding a civil ceremony on your wedding day, there are certain words that you have to say for the ceremony to be legally binding. Your registrar will provide you with details of these and, usually, you’ll have a choice of a few acceptable options. However, most registrars will also give you the opportunity to write your own ‘vows’ that you can say at another point in the ceremony. This usually takes place during the ring exchange as this isn’t the legally binding part of the ceremony. Your registrar will probably want to give your words the ok before the big day so do check with them if they need to approve things ahead of time. On the other hand, if you decide to work with an independent celebrant, you’ll have free reign to say or do exactly what you want. Yes, you’ll still have to go through an official ceremony if you want your marriage to be legally recognised but you can do this before the big day, which is then all about you. You can choose to celebrate wherever, whenever and however you like and you can include any religious or non-religious elements you like or you can mix the two. Give yourself plenty of time to write your vows because trying to write something so important under pressure isn’t a good idea. This is something to really enjoy so give yourself time to do just that. Talk to your partner before you start writing and decide if you’ll share your vows with each other before the big day or whether you’ll keep them secret. Note down anything that you feel is important in marriage or anything that you really want to say to your partner. You’ll probably notice similar themes in your notes and these are the areas to concentrate on. Don’t be afraid of emotion or humour in your vows – you’re writing from the heart, you’re not prepping a presentation for work. If there’s a snippet of poetry or a line from a book or film that sums up how you feel, use it. 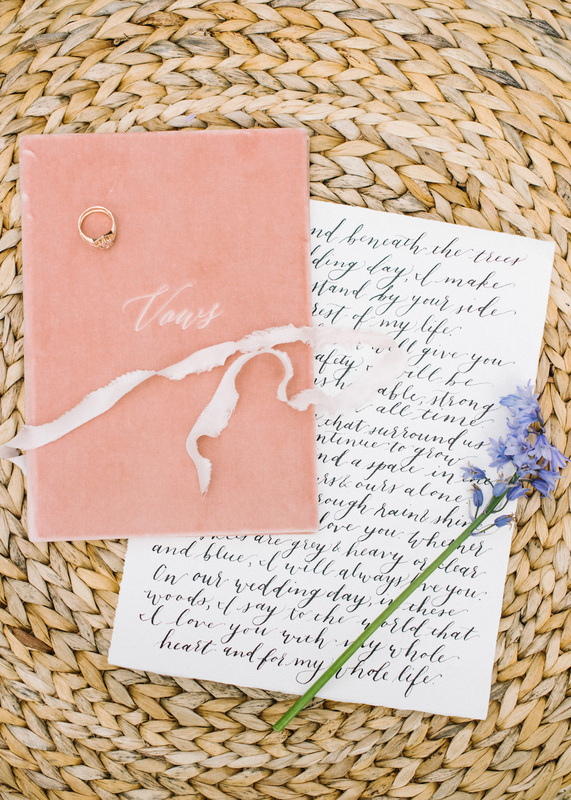 There’s lots of fabulous writing out there that’s perfect for a wedding. That said, make sure that there’s still plenty of ‘you’ in your vows. This is your moment to really say what you feel so avoid borrowing everything or relying too much on those old romantic clichés we’ve all heard hundreds of times. Remember your audience – they want to feel part of your ceremony too so try to avoid anything that they won’t understand and definitely ditch anything that might embarrass anyone. 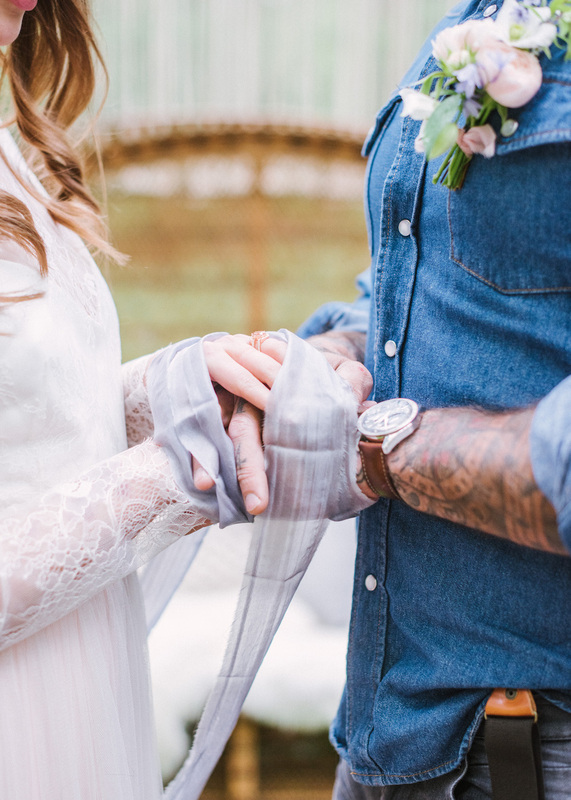 If you’re working with a celebrant, your ceremony starts as a blank piece of paper so ask for some example vows so you can see what formats and styles you like. They’re called vows for a reason so you should make some promises or commitments to your partner. Some couples don’t like to use the phrase ‘I promise’ and will opt for ‘I’ll always try to…’ or ‘I will’ instead. Say whatever feels right to you. Before you write too much, think about how you might feel on the big day. If you feel you might be emotional or nervous, don’t give yourself too much to read or say. I’ve worked with couples where we’ve had two versions of vows prepared so the bride could choose on the day which one she wanted to use depending on how she felt. This can be a good idea so you’re not under any pressure. Write your vows and practice them – things that looked good on paper might be tricky to say or sound too clunky when you read them out loud. If you can learn your vows, so much the better because you’ll be able to look at your partner as you speak rather than looking down to read. However, even if you think you’ve learned every word off by heart, still have a copy with you on the day in case of nerves. Your photographer will definitely be taking photos of this moment so print yourself a nice copy of your vows or pop them inside a special vows book that you can keep. I always have extra copies of vows and readings with me at ceremonies I conduct, just in case! If you’d like to take your wedding vows at GreenAcres, do get in touch for a brochure or to arrange a time to visit us so that the wedding planning can begin! We’re absolutely thrilled to welcome Heatherley Wood to the GreenAcres wedding collection. 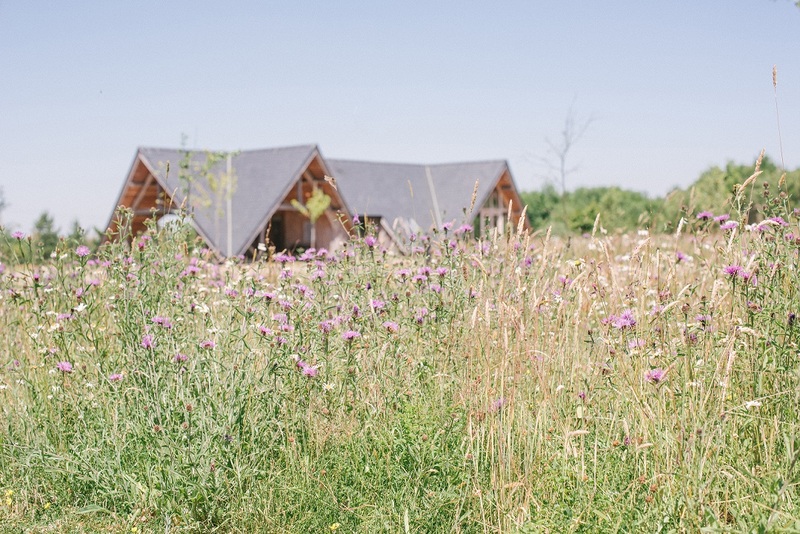 You’ll have 12 glorious acres of flower-filled meadows and mature woodlands to call your own whilst the beautiful Meadow View Hall is the perfect place for your civil ceremony. Just like GreenAcres Chiltern, Rainford and Colney, the team at Heatherley Wood are all totally focused on providing the most wonderful wedding experience for couples and for guests. They’ll be by your side throughout the planning process to help and advise and, of course, they’ll be there on the day to make sure that everything runs perfectly. 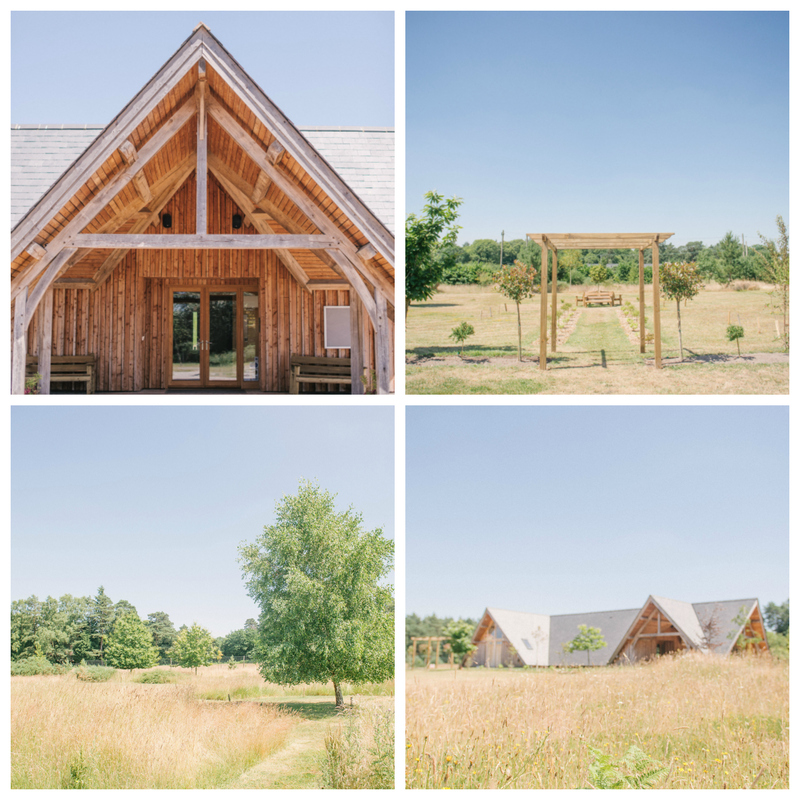 If you’re dreaming of a wedding venue that allows you to leave the world behind you, you’ll find just what you’ve been looking for at Heatherley Wood. It’s a place for romance, for celebrations and for making memories that will last a lifetime. 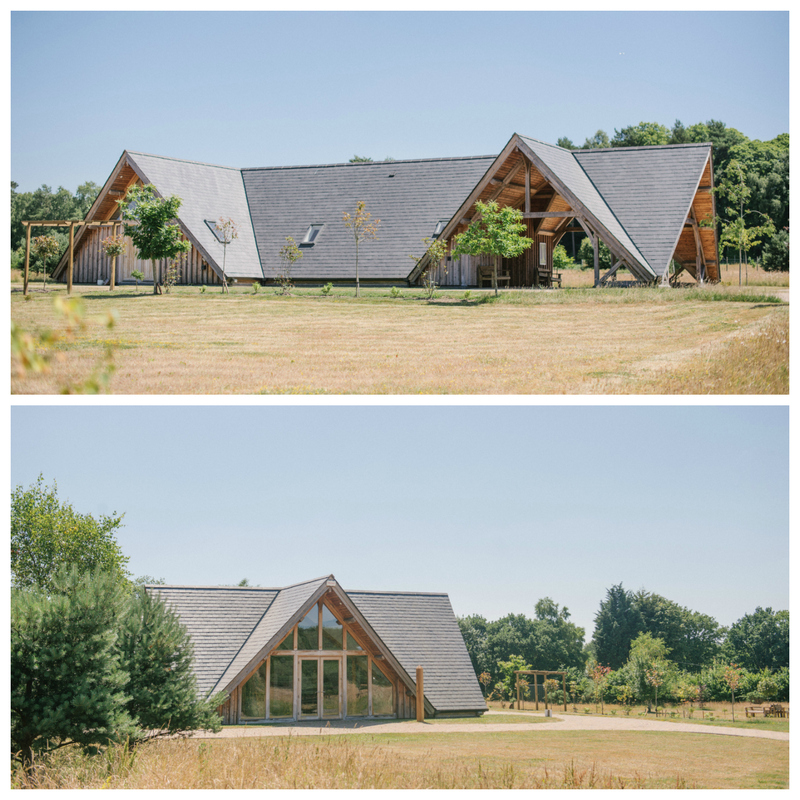 GreenAcres Heatherley Wood also offers a range of packages for ceremonies so you can select the option that suits your plans best. Whether you’re looking for simplicity or something a little more elaborate, we have just what you need. You’ll find all the details and more information in the Heatherley Wood brochure so why not request your copy now? If you’d like to arrange a time to visit do get in touch – the team will be waiting to welcome you. 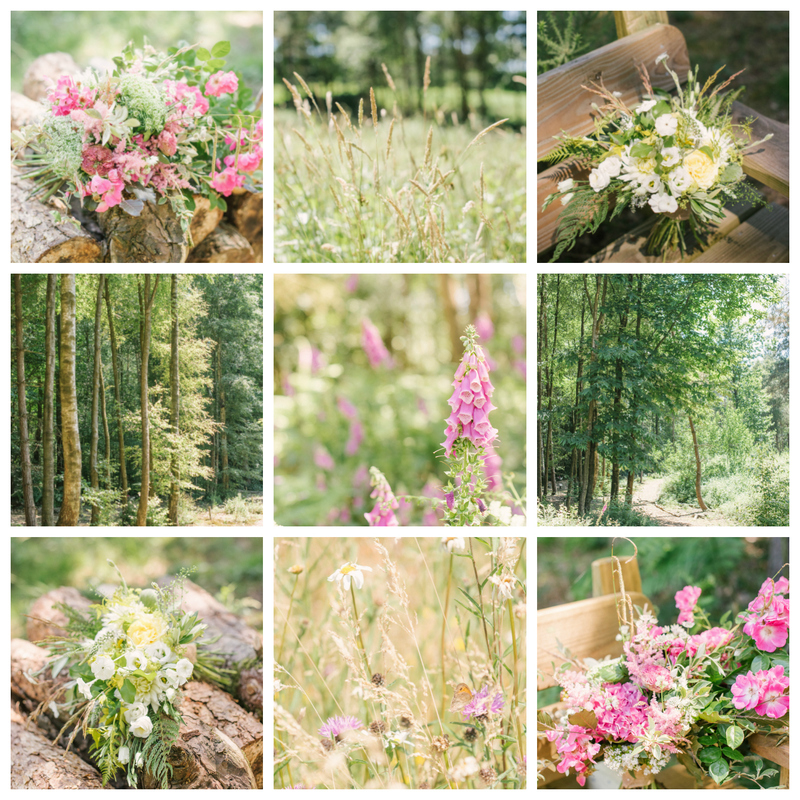 For the latest updates on Heatherley Wood and all the GreenAcres woodland wedding venues, make sure that you’re following us on Facebook and Instagram.